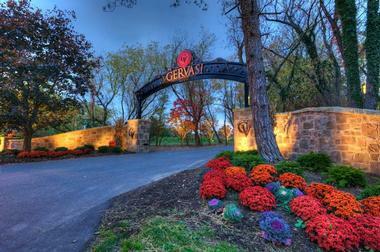 Over the years, the Gervasi Vineyard in Ohio has established itself as a memorable destination for wine enthusiasts. Originally a family-run vineyard, the Swaldo family eventually transformed the property into something that integrated Italian heritage in various aspects of the establishment, including food, wine, accommodations, and entertainment. 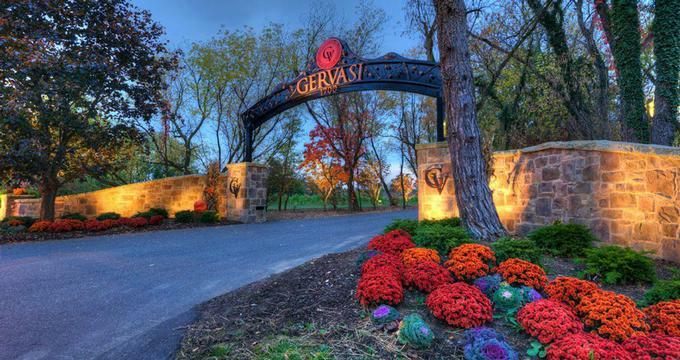 Today, Gervasi caters to people from all walks of life – families, businesses, tourists, and couples – looking for a beautiful romantic evening, fun-filled outdoor activities, corporate events, family reunions, or just a sumptuous meal. 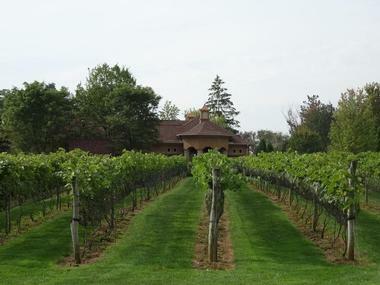 It goes without saying that the Gervasi Vineyard is well known for its wine. The food offerings are all made from the freshest local ingredients and prepared by the best chefs. Everything is served in the most accommodating way within the most beautiful surroundings. The Villa Suites is a Tuscan-inspired Inn that serves as both a gathering place for celebrations and events as well as a relaxing retreat for travelling guests and businessmen looking for some time away from the city. The overall theme of the accommodations features a combination of Italian and Tuscan décor, which is evidenced by the fireplaces, limestone floors, and rustic wood ceilings and doors. Guests can choose between reserving an individual suite or the entire Villa. They can also opt for reserving the Vineyard Farmhouse, which comes complete with four bedrooms, a living room, two bathrooms, a kitchen, a dining room, and other amenities. All accommodations come with complimentary food, beverages, and other features to make guests’ stay more comfortable. The vineyard has one Double Queen Luxury Suite that is available for overnight stays. It is meant to accommodate up to four guests and features all the basic amenities needed for a comfortable and luxurious stay, including two queen beds and heated floors. It also includes an Italian style continental breakfast for up to two guests. The King’s Luxury Suite has all the amenities of the Double Queen Suite, but it has one king sized bed and a pull out loveseat. It also has a complimentary Italian style continental breakfast for two. The accommodations are meant for three guests. The Two Level King Luxury Suite features a lower level living room that has a pull out sofa and king sized bed on the upper level. Both levels have all the basic amenities of a hotel, including a complimentary breakfast. The two-level suite is designed for four guests. Reserving the Entire Villa gives guests one Double Queen Luxury Suite, two King Luxury Suites, and one two-level King Luxury Suite. 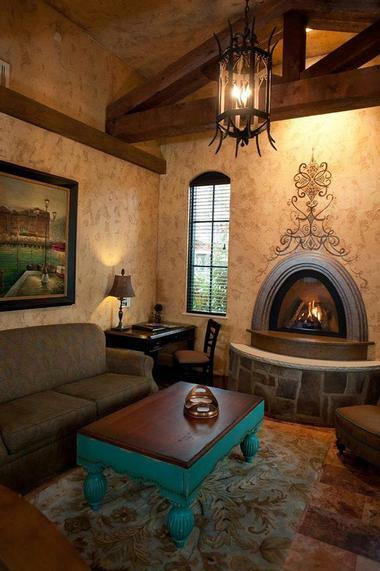 The four rooms are connected via a Tuscan-inspired lobby where you will find a living room and dining seating, a stone fireplace, refrigerator, ice maker, microwave, and sink. The accommodations also have access to a patio with outdoor seating. There are complimentary breakfasts for eight guests, but the Villa reservation can accommodate up to fourteen guests. Finally, those who want to enjoy staying in a rustic style home can reserve the Farmhouse, which features a 2200 sq. foot classic 1800’s style farmhouse that has all the conveniences of a modern home. The house can accommodate up to eight guests and comes complete with a living room, dining room, four bedrooms, two bathrooms, a study room, kitchen, and a porch that has an amazing view of the lake. Having started with Italian tradition in its humble beginnings, Gervasi Vineyard’s Bistro is not surprisingly well known for its rustic Italian menu. The restaurant seats as many as 160 people and serves dishes in small and large portions. Plates include salads, antipasti, brick-fired artisan pizzas, desserts, and entrees meant for sharing. All dishes are made with only the freshest local ingredients and prepared under the supervision and creative eye of executive chef Jerry Risner, a world-class chef and holder of the 2011 American Culinary Federation Akron/Canton Chapter Restaurant Chef of the Year award. He manages a staff of thirty cooks and eight dishwashers in the kitchen. 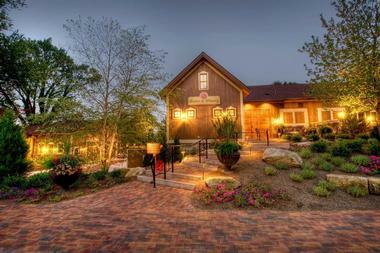 Gervasi’s culinary team also works its magic in The Crush House, where wine and good food meet. But now this winery and eatery has filled its bar with brand new selections, including a few American classics like steaks, burgers, calamari, turkey wraps, and many other options featured in its expanded menu. The bar also serves a wide range of drinks like cocktails, martinis, and a lot of beer. Guests will be able to enjoy café-style dining in indoor and outdoor environments during the day and Venetian style dinners in the evening with full bar service and free Wi-Fi. Guests can also secure seats at The Crush House by making reservations from 5pm onwards. Guests who manage to visit Gervasi Vineyard between May and September will want to try the outdoor dining experience of the Piazza. This patio restaurant offers counter orders and food delivery of a wide selection of food and beverages. Guests are also welcome to bring blankets and other picnic materials so they can bask in the lawn between the patio and the lakeside. This restaurant also regularly features live music. The Crush House and Bistro host private dining rooms as well. Groups can choose from a selection of venues where they can have their private dinners or lunches together, such as the Cantini di Vino, Barrel Room, the Loft, Tower Room, Vineyard Room, and more. Those who want to learn from the best can go over to the Cucina Culinary Wine and Education Centre and enroll in culinary and wine classes, of which there is a wide selection. There are also fun and educational winery tours for those who are curious about the vineyard’s operations – of course, there will be an opportunity for wine tasting. Guests can take comfort in the fact that only the best culinary instructors and tour guides will attend to them for a maximized educational experience. Couples who adore romantic garden weddings will love having the Gervasi Vineyard as the backdrop for their wedding – it is simply perfect for a romantic indoor or outdoor wedding. Couples have a choice between the outdoor Pavilion, where over 200 guests can witness the exchange of vows with a lake and vineyard overlooking the scene, and the indoor Villa Grande, which keeps allows for a more traditional ceremony in an Italian themed villa that can host as many as 120 guests. Those who are looking for a smaller, more intimate gathering can choose the more private venues. To enhance the experience, Gervasi also offers a selection of wedding gifts. Naturally, everyone will be treated to the comforts and luxury of twenty-four villa suites and a boutique. 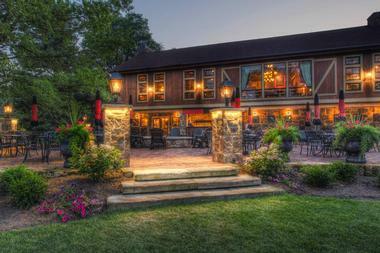 Indeed, Gervasi Vineyard is one of the most memorable wedding destinations in Ohio. Guests can coordinate with the specialists at the spa and pamper themselves with manicure, pedicure, facial, reflexology, Raindrop Therapy and massage. Those who are looking for more wellness activities can also sign up for in-room yoga classes with a private instructor. Those regular corporate meetings can become something of an event when set in any of the venues within the Gervasi Vineyard. Indoor and outdoor venues are available to meet the guest corporation’s needs for their special meeting or team building activities. The Villa Grande Event Centre is quite a flexible and versatile conference venue and has been the setting for business meetings, business conferences, board retreats, and other special business occasions. The private dining areas are also available for smaller meetings and more casual groups. More importantly, all the venues are conducive for all kinds of corporate and business activities that will take place during the meetings. Finally, the packages can also include overnight stays for all the participants of these events. 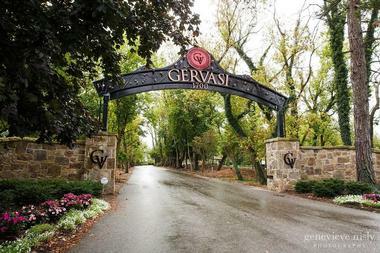 Gervasi Vineyard is an avenue for all kinds of indoor and outdoor activities, but they are particularly known for their golf packages. By partnering with Glenmoor Country Club, guests of the Villa can have access to their private courses, which are great for golfers of all skill levels. Guests can opt for the Weekday Golf Package Promotion, a seasonal package that includes a stay at the Villa with four to eight guests in four suites, all with a complimentary continental breakfast. Participants will have four rounds of golf at the country club. The package also includes transportation to and from the venue, as well as a GV Logo’s Golf Gift Set. If guests want to have more, they can get gold equipment and merchandise at the Glenmoor Golf Shop and pay for additional rounds of golf onsite. Getting to Gervasi is simple. Whether they’re coming from the north, east, west, or south, guests only need to make their way to the Market. One mile past that is Rice’s Nursery, and across the way is the vineyard. 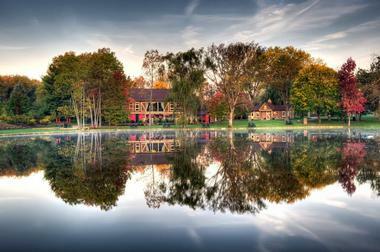 Next read: Top 20 Weekend Getaways in Ohio.